In the world of modern orthodontia, there are multiple available braces options to choose from and even more things to take into consideration when determining which type of braces to get. According to our orthodontist in Kansas City, the severity of your case, total treatment time, and overall cost are just a few main factors to look at before making a choice. 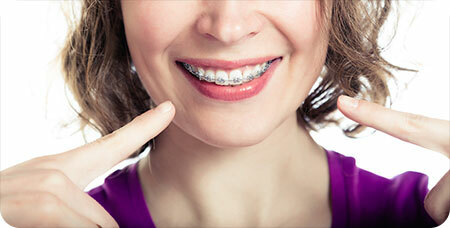 Fortunately, there’s one style of braces that offers the most comprehensive benefits – and it’s been around for years! Made of stainless steel, metal braces are the strongest and most durable treatment option available. This means you won’t have to deal with extra trips to Burleson Orthodontics to fix broken brackets or wires. They’re also stain-resistant, so you won’t have to worry about them yellowing over time. Even though methods like Invisalign promise a straight smile in less time, traditional metal braces are more appropriate for the majority of cases and actually produce results quicker because of the increased control our orthodontist in Kansas City has over teeth movement. The information provided in this article is not meant to be medical advice and is for educational purposes only. If you would like to learn more about metal braces or other orthodontia-related topics from our Kansas City orthodontist, feel free to contact Burleson Orthodontics by calling 816.759.0123.